By the time you are reading this, the verification exercise of signatures of those seeking the recall of Senator Dino Melaye would have been over. Whatever way the process may take, it will, by all standards, be epochal: the first time the people of Kogi West Senatorial District will be exercising their power of recall as enshrined in the constitution. The road to the process began in July last year when Melaye became involved in a clash with Senator Remi Tinubu when he reportedly threatened to beat her up during a closed Senate session. In his own defence, Melaye claimed she called him a thug and a dog. 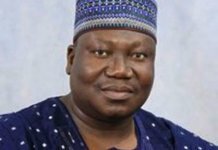 Also last year, the senator became embroiled in another controversy after Sahara Reporters claimed the lawmaker never graduated university as he had claimed. This led to a lot of hostilities that resulted in the senator wearing academic gown making the infamous â€˜Ajekun Iyaâ€™ video that went viral for its hilarity just as much as for its cringe-worthy embarrassment. On June 2, 2017, members of Melayeâ€™s constituency made their intention to recall him from the National Assembly public. For them, enough was enough; they were ready to call a vote of no confidence on their representative. The groupâ€™s statement read, â€œLet it be known that all of the Local Government Areas comprising Kogi West Senatorial Zone are united in their resolve to recall Senator Dino Melaye and remove the disgrace he has become to all of usâ€. The recall group listed 19 reasons why the lawmaker was being recalled, including alleged irresponsible utterances, which they claimed embarrass the constituency; violence, thuggery and other electoral offences against them during elections; and routine insults on leaders, elders and personalities. A recall is a constitutional instrument voters can use to unseat a serving lawmaker before the end of their tenure. Unknown to many observers, and to Melayeâ€™s shock, this was only the beginning. To the chagrin of the senator, the recall document was signed by people from his constituency. Yesterday, the verification exercise took place. 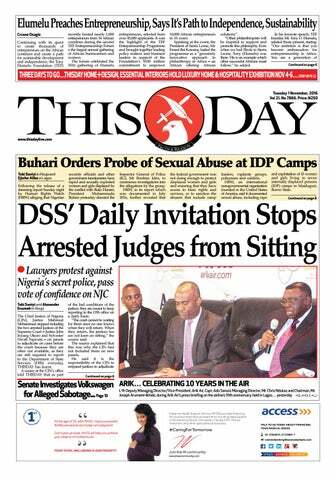 This follows a ruling by the appeal court which gave INEC the go-ahead to carry out the exercise. 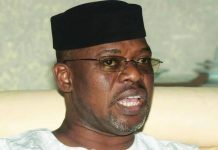 Speaking at a stakeholders meeting in Kogi, Mohammed Haruna, INEC federal commissioner, said the verification of signatures of those seeking to recall the senator will commence on that day. He said the verification exercise would hold in 552 polling units in seven local governments under Kogi west senatorial district. He also said the card reading machines will be used to authenticate the voter cards of those that signed the recall petition. 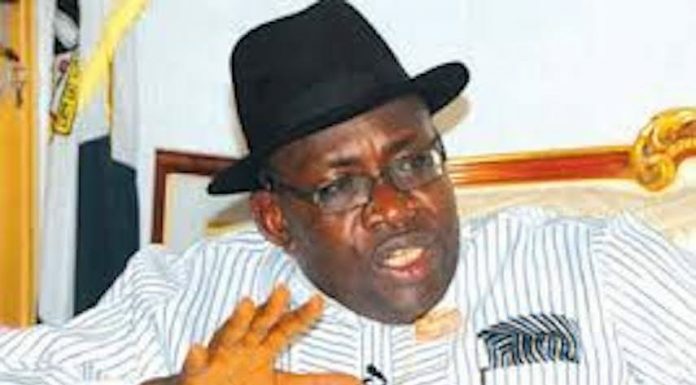 â€œOnly those who signed the petition are expected to turn up at their polling units for verification,â€ Haruna said. This is where the activities of the Non-Governmental-Organisation (NGO), Enough is Enough (EIE) comes in. 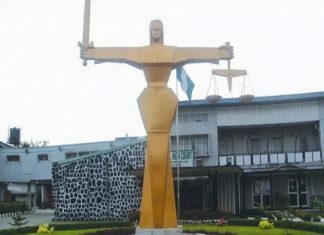 In the past five years, an organization committed to the instituting of a culture of good governance and public accountability in Nigeria through active citizenship has been educating the people on the need to use their power of recall over recalcitrant law makers. Not surprisingly, the recall Melayeâ€™s recall process parodies hypothesis that the group had been using to sensitize Nigerians on the activities of Nigerian politician, especially law makers. According to Ms. Yemi Adamolekun, the Executive Director of Enough is Enough, the greatest lesson from the Dino Melayeâ€™s recall process is that from now on, politician, most especially legislators will no longer take their electors for granted. â€¢ Appropriations â€“ they pass the country and statesâ€™ annual budgets. â€¢ Law-making – they make laws that promote peace, order and good government. â€¢ Representation â€“ as elected officials, they represent their constituencies. â€¢ Oversight – ensure the executive arm of government is delivering on the projects monies had been appropriated for. â€¢ Consent to high-level appointments e.g. Ministers, Commissioners, Central Bank Governor etc. EiE and other partners began a campaign in 2013 tagged #OurNASS to increase transparency and accountability in the National Assembly. In September 2013, there was a protest to the National Assembly with demands about their finances (opacity in their annual budget, salaries and allowances), adopting electronic voting in their proceedings and maintaining a functional website so constituents who voted them will have easy access to them. #OpenNASS was coined by BudgIT in 2014 to focus on the National Assemblyâ€™s budget and the other demands from #OurNASS was added. The campaign has been very active on social media and in the last 2 years, has been amplified via infographs in newspapers and discussions on radio and other media channels. To put more pressure on the National Assembly, a toll-free hotline (55052) was launched in December 2016 for citizens to sign petitions demanding for an effective and efficient National Assembly. In May 2017, the president of the senate, Mr. Bukola Saraki fulfilled his promise and the National Assembly published a breakdown of its budget for the first time in seven years! The National Assembly has been rocked by several controversies since the return to democratic government in 1999. 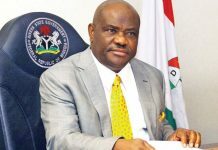 However, over the last 3 years there has been an amplification of these crises including trying to gag social media; pushing a bill that would seriously undermine the work and independence of civil society, thereby violating constitutional rights to freedom of expression and association; purchasing new cars at exorbitant prices; fraud allegations against the Senate President that paralyzed proceedings on several occasions; deliberating immunity and life pension for its leadership when they already get a gratuity after every term; budget padding allegations against the Speaker of the House of Representatives and other principal officers; legality of the notorious constituency projects as a means to siphon funds; and a possibly illegal N10 billion payment to the legislature outside its N125 billion 2017 budget by the Ministry of Finance. â€˜Recallâ€™ is the constitutional power of citizens to remove members of the legislature before the expiration of their term. Nigerian lawmakers have been repeatedly accused of irresponsible behaviour and poor representation of their constituents, yet they complete their tenure. She said that rather than using their constitutional power to recall irresponsible legislators, citizens have taken to violent reactions as seen in recent times where constituents attack their representatives. â€œFor example, angry youths attacked Mr. Joshua Lidani (Senator, Gombe South) on Monday, April 2nd 2018; also angry constituents stoned Mr. Garba Hamman Julde (Bali/Gassol federal constituency, Taraba) on Saturday, March 31st. she insisted that letting the citizen know their powers and how to go about exercising it motivated the publication of the guide. â€œTo complement our work with other partners on a transparent and accountable National Assembly (#OpenNASS), it became imperative to educate citizens on their constitutional right to â€˜recallâ€™ a legislator who represent them poorly. In the 8th Assembly alone, we have recorded at least 5 attempts by constituents to recall a legislator. â€œOf all these cases, only that of the Senator representing Kogi West seems to have scaled the first hurdle of submitting a petition to INEC. The recall process which started on June 21, 2017 would have ended September 18, 2017. However, 9 months and several court injunctions later, the process is just moving to the second stage of verifying the signatures of the constituents. Our expectation is that the Senator will allow the process to be due process to be followed. â€œThe legislature is a critical institution in our democracy and we will ensure that it is repurposed to serve all Nigerians, not just a few. Enough is Enough started in 2010 and was formally incorporated in 2012. EiE is Nigeriaâ€™s leading network of individuals and organizations focused on good governance and public accountability, which is driven through active citizenship.